A man accused of leading troopers on a chase, then leaving his daughter inside a burning car, faces new criminal charges. To Xena’s family, she was a shining light, quick to laugh, and full of hugs. Her grandmother Christian Palmer helped care for her every day. “She was a lovely baby, you couldn’t do nothing but love her, nothing but love,” said Palmer. Friday night, Xena’s life ended when the car she was in caught fire. “I just couldn’t beleive it, I coudln’t imagine. It just hurt me, broke my heart, my heart is broken in so many pieces,” said Palmer. Trooper say they were pursuing her father for speeding, and they say Norman eventually escaped out of the car after it caught fire, leaving Xena inside. “I just know that the car wasn’t on fire when I got out of the car. I would have stayed in the car with my daughter. I would never have got out the car while the car was on fire,” Norman told a judge at his bond hearing Friday night. Today the family of Xena’s mother, Thaisa Young joined together in solidarity behind Xena’s dad. 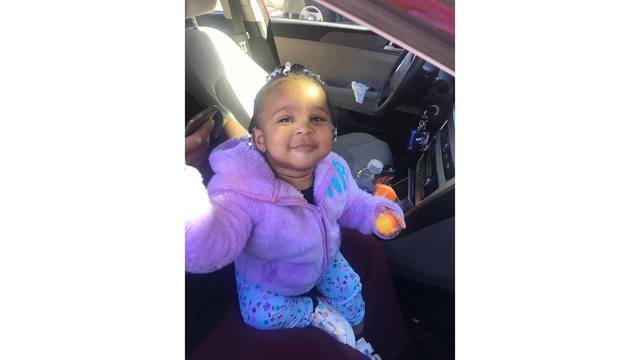 “We belive him, we 100% both sides of the family believe what he’s saying, if he would have knew, he would not have got out of the car,” said Renalla Clowney, Xena’s Great Aunt. When the incident occured Friday on I-85 in Greenville County Norman was charged with homicide by child abuse. Monday Highway Patrol added four new charges, three of them “possession with intent to distrubute drugs.” Investigators say he threw a bag of what later was found to be marijuana, meth and amphetamines out the car while they were in pursuit. Despite the charges, the family asked for prayers for not just Xena’s mother but her father, too. “Just keep our family in prayer, that’s all, just always keep us lifted up for our family that’s all we need is prayer, prayer,” said Palmer. The family is still making arrangements for her burial. They’ve set up a Go Fund Me page to help pay for the funeral costs, and are grateful to the people who have supported them so far.